CRANFORD, N.J. (WABC) -- Two fired day care workers accused of instigating scuffles among the children as part of what New Jersey prosecutors called a "Fight Club" will be sentenced Friday, after pleading guilty last month to child abuse charges. 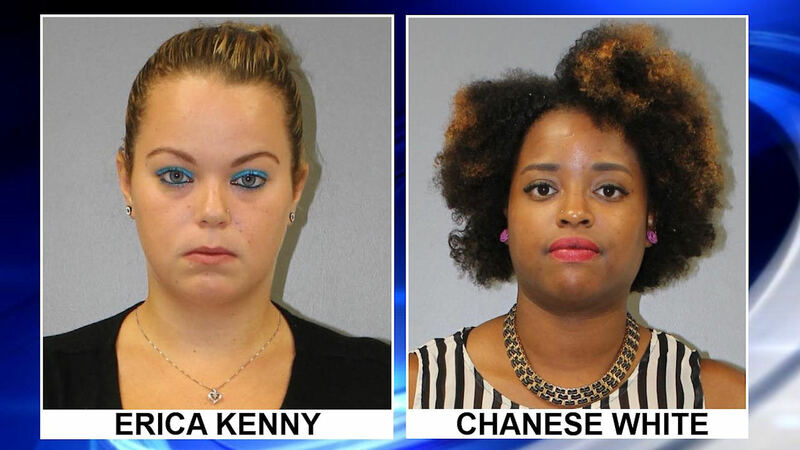 Erica Kenny and Chanese White, who both worked at the Lightbridge Academy in Cranford, changed their pleas to guilty under a plea agreement. Prosecutors said that in August, the 28-year-old White and 22-year-old Kenny provoked shoving matches between children as young as 4. The two originally pleaded not guilty to charges of fourth-degree child abuse, and Kenny was also charged with third-degree endangering the welfare of a child. Kenny was accused of recording video of the fights with her cell phone and sharing the video clips on social media via Snapchat. Prosecutors said that in the video clips, Kenny can be heard referencing the activity as "fight club," quoting from the book and movie of the same name, and encouraging the children to engage each other physically. About a dozen boys and girls at the day care center can be seen in the video clips shoving each other to the ground and attempting to strike each other. The children were not hurt. The women were fired. They were released without bail. At the time, the Lightbridge Academy released a statement saying officials are "shocked and saddened" by the accusations. "While no children were physically harmed during this incident, we have a zero tolerance policy for anyone who acts in conflict with the core value of Lightbridge Academy - the safety and well-being of children," the statement read. "We terminated the employment of these staff members and have maintained open communication with our parents throughout this process." Several parents whose children attended the center said they were outraged when they found out about the allegations. But many also praised the center for the way it handled the situation.